Once the world's slimmest smartphone, the Oppo R5 has found a worthy heir in the face of the new R7. With the crown already forfeited, the company chose to walk out of that fight and made the R7 a touch thicker, but it still has every bit of the upmarket feel of the R5. Although it may have lost the wow factor of the razor-thin R5, the R7 is an equally fine-looking smartphone, if not even more so. The metal back with the etched Oppo logo flows into the surrounding frame forming a unibody construction, and the front glass, gently curved at the edges (what has become known as 2.5D), is a pleasure to touch and behold. By the way, we don't consider the R7 to be a replacement of the R5, as plenty of their hardware is practically shared. It's simply a more balanced device, its priorities gently guided in the right direction. Frankly, the push for slimness at all cost has never been our thing. 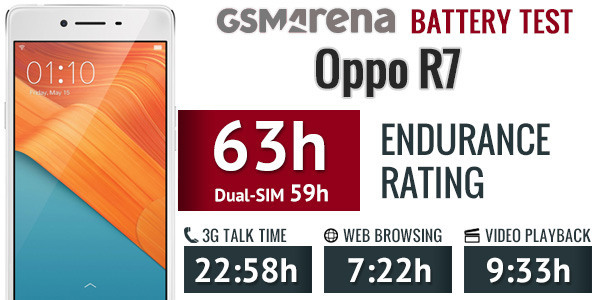 Hope you don't get this wrong, at 6.3mm the Oppo R7 is not exactly what you'd call bulky. The extra thickness has allowed for a welcome increase in battery capacity, a major weakness of the 4.85mm R5. Rumors prior to launch hinted at a bezelless or edge-to-edge display, but this proved not to be the case. The R7 Plus is somewhat closer to that description, although it still doesn't truly amaze. Instead the R7 packs a 5-inch AMOLED display, a careful step back from the 5.2 inches of the R5. This was perhaps done to clearly separate the R7 from its bigger brother, the 6-inch R7 Plus. Plus, as we said, battery life is now a priority and a slightly trimmed screen should help there, too. The 3GB of RAM is another notch on the score sheet, and so is the introduction of a microSD slot - most welcome really given the rather limiting 16GB of built-in storage. It's the increasingly more common type, where the memory card shares a slot with the second SIM card - not the most convenient solution, but a compromise most will be willing to make. We have Snapdragon 615 in charge, and that keeps the R5 firmly grounded in the midrange, regardless of how much RAM Oppo fits, or how spectacular the body looks. That said, the chipset is a proven performer in its class. The primary camera remains at 13MP but now uses a Samsung ISOCELL sensor instead of Sony's in the R5. It's now graced with a Schneider-Kreuznach-branded lens, though it's gone a bit dimmer. On the front you get a new 8MP shooter, the highest pixel count in the company's lineup, if you leave the rotating N-series out of it. You'd also be happy to learn than the R7 can take standard 3.5mm jack headphones, while the R5 sacrificed that feature in the push for thinness. There's still no FM radio to be found on the new model, but that's more of a niggle than a serious omission. Oppo says it's working on a Lollipop build for the R7, but it was obviously not ready in time for launch, and we'll try not to hold that against it. ColorOS, on the other hand, has seen a few polishing touches in its 2.1 version, but in essence remains a heavily customized, iOS-inspired Android overlay. As you can see, there's plenty to explore underneath the pretty shell, but in typical GSMArena fashion we'll start with the unboxing and hardware overview. The Oppo R7 arrives in a familiar retail box with a nice set of accessories. Other than the phone, you also get a charger, which supports the company's VOOC fast charging tech and outputs up to the massive 4A of current at 5V. It's paired with a proprietary USB cable with additional pins to enable the fast charging. Rest assured -both the charger and the _phone_ itself can take regular cables, just don't expect the same charging times if you replace one of the links in the VOOC chain. There's also a headset inside the box with a single-button remote. Additionally, you get a clear rear protective cover, which wraps around the sides too. The R7 comes with a screen protector pre-applied, but it takes away from both the look and feel of the smartphone. We suggest you follow our lead and duly remove it as soon as the _phone_ is out of the box. 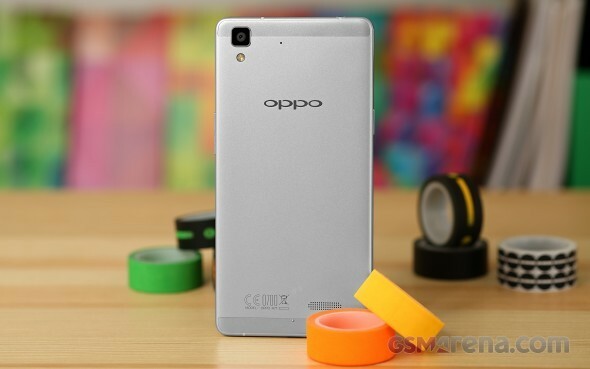 The Oppo R7 measures 143 x 71 x 6.3mm and while the first two numbers are run-of-the-mill, the thickness isn't. It is, in fact, one of the slimmest 5-inchers, even more so if you narrow down your selection to 1080p+ screens. The metal build has resulted in a bit more heft than the size would suggest, and the R7 weighs in at 147g. The recently reviewed Xiaomi Mi 4i is a good deal lighter at 130, and so is Oppo's own R1x. 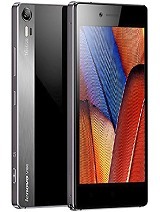 The Lenovo Vibe X2 is lighter still at 120g. The Oppo R7 is quite a show-off. It boasts a magnesium-aluminum alloy unibody, which the company claims went through 48 polishing processes. A fine zircon sand paintjob has been applied, to which the back owes its smooth surface. It is indeed a beautiful behind, its looks only spoiled by the two strips top and bottom, which were necessary for all the antennas to work properly. 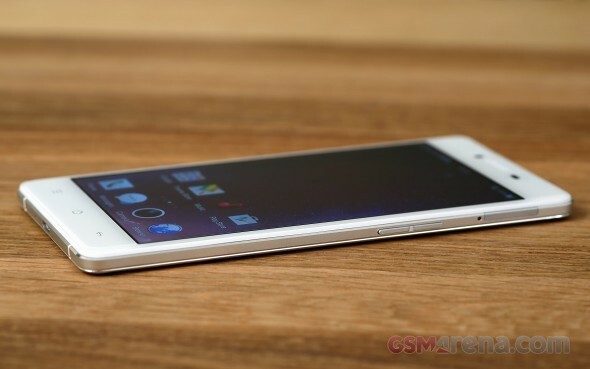 That said, Oppo claims the R7 uses the body itself as an antenna, having 92% of it made of metal. We presume they mean 92% of the non-screen surface. The 13MP camera module has called for the inevitable bump, but it's nowhere nearly as pronounced as we've seen (think Galaxy S6 and Oppo R5). Here, it sticks out by about half a millimeter. A shiny Oppo logo, etched in the middle of the matte brushed panel, adds a nice touch of contrast to the back. A less welcome step in the same direction are the regulatory markings towards the bottom, which are both large and sharp and draw unnecessary attention. Placing them on a sticker that you can peel off as we've seen other makers do would have certainly been the more stylish solution. There's a tiny protruding dot at the bottom, which makes sure the speaker doesn't get muffled when the phone is lying on its back. It levels with the camera bump across to help the phone remain stable, and it will only wobble if you deliberately press its bottom right corner. The back and the sides are made from a single piece of metal, though a groove running all around the sides would suggest otherwise. You can obviously forget about replacing the battery yourself, but that's the price to pay for such a slim waistline. The remaining parts of the phone look like it's nestled in the metal tray. 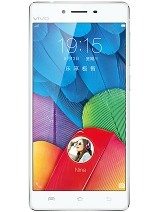 There's a liquid effect of sorts, showcased by Oppo itself in promotional material, making the front glass appear to be kept from spilling out by a white plastic frame. It's a 2.5D glass, which nowadays is the decidedly unscientific term for describing a glass panel that ends with a gentle curve at the edges. In practice that gives your fingers a more natural feel when swiping across compared to a flat panel or, even worse, one with a raised edge. Now, there was much talk about the R7 before its launch how it will have a unique bezelless design but that's not the case. It's about as standard looking as any other phone in this respect, and the much talked about edge-to-edge display has been reserved for the R7 Plus. Anyway, the R7 is yet another in a long line of striking Oppo smartphones. Though not revolutionary by any means, and also far from the most distinguishable company designs, the handset still manages to attract jealous stares. The Oppo R7 stays true to a proven control layout with a power button on the left and a volume rocker on the right, virtually identical to the recently reviewed R1x. Above the volume rocker you'd find the SIM-card slot, which would take a micro-SIM and a nano-SIM card or a micro-SIM and a microSD card, but not all three at the same time. It's one of the sturdier tray designs too, and it leaves you confident it won't break the next time you pop it out. The microUSB port, which as we said has a couple of extra pins, is centered in at the bottom, the mouthpiece on the side. On top you'd find nothing but the 3.5mm headphone jack. The R7 relies on capacitive buttons inside the bottom bezel, instead of onscreen buttons and the configuration is the typical Menu/Home/Back. Above the display you have the earpiece, flanked by the front 8MP camera and the proximity/ambient light sensor. Further to the left there's a notification LED, which lights up from underneath the screen glass. The 13MP primary camera resides in the top left corner, along with a single LED flash. The secondary mic is in the vicinity as well. Towards the bottom of the back is the single loudspeaker. The R7 is a joy to hold in hand. The touch of the cold alloy, coupled with the slim profile, remind you every time you're holding a premium piece of tech, and the 2.5D front glass reinforces that impression. The matte rear surface provides enough friction, and the edge between the outer frame and the display means you're guaranteed a secure grip. The phone is really sturdy too, and doesn't seem prone to bending or twisting. Our (admittedly less than extreme) attempts at it resulted in no deflection or creaks whatsoever. 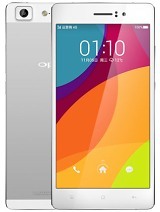 A 5-inch FullHD AMOLED display adorns the front of the Oppo R7. At this diagonal it results in 445ppi. Our microscope photo revealed a Diamond PenTile matrix with twice as many green subpixels as each other color. The panel carries some of the best traits of the AMOLED tech, like the inherent infinite contrast and vivid colors, as well as respectable side viewing angles. 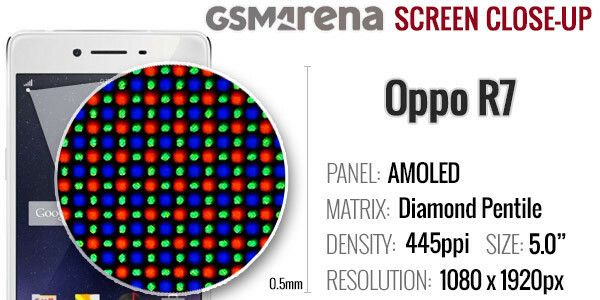 A long-standing issue of AMOLED displays, which some manufacturers have since resolved, still manifests itself on the R7 - the low maximum brightness. The number is lower than the R5 before it, but the Samsung Galaxy A7 and Nokia Lumia 930 keep the R7 in a good company. It's worth noting the relatively high brightness at the 50% setting, which is actually closer to 60%, while we're used to seeing numbers around the quarter mark. The low maximum brightness hurts the R7 in the sunlight legibility test, compared to other AMOLEDs. That said, the smartphone posts a very good score, higher than most LCDs out there. The Oppo R7 has all your basic connectivity needs covered. It's a dual-SIM dual-standby device with both cards supporting quad-band 2G, while SIM1 also supports quad-band 3G and a selection of LTE bands, which vary by region. The distinction between SIM1 and SIM2 is made in settings, and the fact that one of the slots is micro-SIM and the other is nano-SIM gives you extra versatility. The smartphone has Wi-Fi 802.11 b/g/n only in the 2.4GHz spectrum, but does have Wi-Fi direct and hotspot support. Bluetooth is the 4.0 iteration, with A2DP enabled for audio streaming. There's no NFC, nor is there an FM radio. There's GPS with GLONASS support, but no A-GPS for precise positioning over cellular. The microUSB 2.0 port supports USB on-the-go to let you attach peripherals, though it's off by default and the option to enable it is buried deep in the settings. A standard 3.5mm jack completes the wired connectivity package. Inside the R7 Oppo has fitted a 2,320mAh battery, and that makes it a touch underpowered for a FullHD 5-incher. Compared to the R5 however, which had a larger display and a smaller capacity battery, the R7 is much better equipped. In practice, the R7 does notably better than what the 16% higher capacity would suggest - we were pleasantly surprised. That's not to say that the R7 breaks any records, no. But the 23 hours of 3G talk time, for example, is respectable. Video playback longevity is pretty nice at nine and a half hours, meaning that the R7 could keep you entertained on quite some long rides or flights. Web browsing wasn't as impressive, but it's still more than acceptable at seven and a half hours, a huge improvement over the measly 4 hours of the R5. Our proprietary test also measures the battery draw in standby, which is not featured in the scorecard but is calculated in the overall rating. Oppo launched the R7 on Android 4.4 and we're not impressed. With Andoid M already announced, having new devices launch without Lollipop is a disappointment, even more so for an expensive midranger. That said, Oppo states it's working on a Lollipop build, and the promise that the R7 Plus will be released with Lollipop on board gets our hopes up that the update for the R7 is, indeed, in the pipelines. What has already been done, is a ColorOS redesign. Oppo's proprietary Android overlay has received a few minor tweaks as well as a general shift towards dark backgrounds. That is, if you're coming from the R1x, where the menus were black-on-white. The R5, on the other hand, was white-on-gray already, so Oppo is rocking back and forth a bit on this one. Anyway, ColorOS makes Android nearly unrecognizable, adds a custom lockscreen, homescreen, icon packs and settings menu, as well as extensive theming support. The Color OS default lockscreen uses swipe gesture for unlocking, though it only works with an upward swipe. It was the same in the previous version, and hasn't changed with the redesign, so it's safe to assume Oppo thinks that's the right way. You can set up pattern, PIN or password unlock protection. There used to be shortcuts for the phone and Messaging apps before, but they are now gone. What you get is a single large widget, evoked with an inward swipe from the left, but the choice of apps that support it is limited. Swiping in from the right opens up the camera app, so you're not left entirely without shortcuts after all. The lockscreen has a handy hidden flashlight shortcut - with the screen awake, a press and hold of the Home button turns on the LED flash on the back of the device and stays on for as long as you hold the Home button. The Oppo R7 doesn't have an app drawer, so all of your app shortcuts are available on the homescreen iOS-style, and the apps above the dock are organized in a grid of 4x5. You can also select multiple apps (up to 20) and move them around the homescreens together. Exclusive space is Oppo's custom homescreen page. Currently, there are two available - Photo and Music. Photo space takes up a whole homescreen and features a small live viewfinder so you can take shots straight from your homescreen plus a shortcut to the full camera app. Below you get a timeline with all your recent photos and you can share them very easily. The second Exclusive space homescreen pane is Music. Oppo has abandoned the unintuitive design where you had do swipe away the currently playing vinyl for changing the song and replaced it with straightforward Previous/Play/Next buttons. Oppo's Color OS supports themes, one of which changes the appearance and functionality of Color OS to match that of stock Android 4.3 Jelly Bean. There are plenty of themes available for free in the Oppo's Theme Store, and some are better than others at dealing with non-stock apps. A long press on a toggle will bring up its respective settings entry. By the way, you can access the notification area even if you slide down from any empty part of the homescreen (not just the top), which helps single-handed use a lot. You can also set up app-by-app permissions for displaying notifications. The task switcher is pretty close to the one in iOS. All your apps are shown in a horizontally-scrollable grid of thumbnails, which you either swipe up to close or tap to open. A downward swipe locks one or more apps, so they remain open even when you use the Kill all button to close all other apps. The R7 has some of the most comprehensive gesture controls out there. It picks up gestures with the display off, then others with the display on and it also recognizes motions to answer or mute incoming calls. Moving on to screen-on gestures, you can swipe with three fingers across the screen to capture a screenshot or pinch with several fingers to launch the camera. The Motion options are very useful, too - flipping the device will mute the ringer, raising the ringing phone to your ear will automatically answer the call and more. The Oppo R7 is equipped with a Snapdragon 615 chipset, a solution so popular, that Oppo itself has no less than 4 smartphones in its lineup, powered by Qualcomm's upper midrange chip. Oppo likes to tinker with processor clock speed to adjust it to the specific device, and it's no different on the R7. The four "powerful" Cortex-A53 cores in the pseudo-big.LITTLE setup can go as high as 1.46GHz, while the other four are limited to 1.11GHz. Qualcomm quotes typical figures of 1.7GHz and 1.0GHz, respectively. The R7 comes with a spacious 3GB of RAM, so multitasking should be a breeze. It's among the key improvements over the R5, and makes the R7 only the second Oppo smartphone with that amount after the now aging flagship Find 7. We kick off the benchmark routine with Geekbench 3, which measures solely CPU performance. The R7 sits midway between the S615 equipped R5 and R1x. The R7 is also no match for last year's flagships, but is also bested by the Samsung Galaxy A7 (S615, again), which puts up a better fight. Antutu has become more or less an industry standard for a quick overall benchmark and measures RAM and storage performance on top of CPU power. The Oppo R7 is trailing behind the S615 competition, and would have been last, if it weren't for the ZTE Blade S6, but that one is a little over half the R7's asking price. In all fairness, the S615 crowd is pretty tightly spaced, and is lagging behind the 2014 top-end Snapdragon 801. The Mediatek MT6595 inside the Meizu MX4 and Lenovo Vibe X2 is the undisputed champ here. Another compound benchmark, Basemark OS II 2.0 paint a more favorable picture of the R7. It still trails behind the Sony M4 Aqua and the Galaxy A7, but leaves a few of the S615 competitors behind in the overall score. The the single- and multi-core CPU tests mostly mirror the results. The Snapdragon 615 comes bundled with an Adreno 405 GPU, which typically does a good job as long as you don't sweat it with the latest 3D games. In Basemark X it clearly pulls ahead of all competitors with the same chipset. The Xperia M4 Aqua comes closest, followed by the Blade S6, while the Oppo R1x is a mile back, indicating a different setup there. In the lighter T-Rex routine of GFXBench the R7 manages the same 15fps both onscreen and off, which shouldn't be a surprise, as both tests are carried out at 1080p resolution. The R1x, Blade S6 and Xperia M4 Aqua all pull ahead in the onscreen test, but they're favored by their 720p displays, which have a lot less pixels to render. The more demanding Manhattan test introduces an expected overall hit in frame rates. In the offscreen test the differences between the S615 packing smartphones are negligible, save for the trailing R1x. The onscreen test widens the gap between HD and FullHD displays, but the R7 still does an OK job, given its hardware. The Oppo R7 comes with a pair of browsers installed. We tested both and when it comes to JavaScrip, Kraken 1.1 says that neither is impressive, but Chrome is marginally faster than Oppo's browser. Not so in Browsermark 2.1, where Chrome posted solid scores upwards of 1400, while the proprietary app was nowhere to be found, with numbers around 600. We therefore concluded that Chrome is the only logical choice and posted its results below. Altogether, the Oppo R7 is an average performer, given its internals. It is admittedly better optimized than the R1x, with Color OS 2.1 likely responsible. However, the 3GB of RAM fail to show any meaningful advantage in benchmarks, and the R7 is consistently outperformed by 2GB models. The phonebook uses a tabbed interface - it offers groups, contact list and favorites. The UI is pretty standard Android affair, customized to match Oppo's styling. The Oppo R7 scored an average mark in our loudspeaker test. It's on par with the R1x, and thus a bit of a letdown, since Oppo has already shown it can do louder with the R5 and the N3. It did best with the ringing phone sample, so with the right ringtone you may be able to get a pretty loud ringer. The Oppo R7 is a dual-SIM device and as such offers you the choice to select which card to use for different tasks. You can also add a name for each card for easier distinguishing between the two. The messaging department is pretty standard - there's a list of all bubble-styled conversations organized into threads, with a big New Message button at the bottom and a settings button next to it. There is a heavily customized email app for all your other email accounts and it can handle multiple POP or IMAP inboxes. You have access to the messages in the original folders that are created online, side by side with the standard local ones such as inbox, drafts and sent items. The Oppo R7 offers a great Swype-enabled keyboard with big keys and they become even bigger when you switch to landscape mode. There is an option to change the individual key height in both portrait and landscape, which isn't found that often. Themes are available too. You can also have split or mini keyboard layouts. Placing the device in landscape expands the keyboard immensely and replaces the layout of the original app with just a text box, so you have plenty of room to type. Oppo has come up with a custom Gallery for the R7, and it relies on simplicity. The default view is a grid of folders, with a name and number of images for each folder labeled underneath. You can't filter images by location, time, people or tags like you would in the stock app. Images inside folders are arranged on a rectangular grid and you have two options - image selection mode and start a slideshow. You can select multiple images (folders too) and then Share and Delete options become available. The available features when viewing a single image are pretty standard - set image as wallpaper/contact image, share it, delete it or get a menu with more functions. The image editor has also fallen victim to the trend for simplicity and offers one-touch color filters and image frames. Editing goes as serious as sharpening, blurring and applying a mosaic effect, which get a slider to control the intensity. You also get to crop rotate and mirror, and that's all. 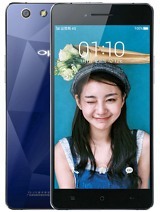 The Oppo R7 comes with a pretty simple-looking video player with extensive codec support - DivX, AVI, MKV, MP4 files played without a hitch, as did MOV videos. We had no issues playing files all the way up to 1080p resolution. AC3 sound was a no-go, but that's typically the case. While watching a video you get a timeline slider, play/pause along with forward/back controls, a lock option (which locks the display against accidental touches) and a pop up toggle. A feature that seems lifted right off the Samsung/LG flagships is the pop-up player. It's a small floating window that lets you have other apps working underneath. You can move it around to get it out of the way, but there's no transparency option. Oppo's latest music player has quite a simplistic interface and is very easy to use and navigate. The music player UI is pretty straightforward - your music library is organized into a local list of all music, favorites, artists, albums and folders. There's also an option to add a playlist. The Now playing interface is split into two - the current playlist and the album art/music controls screen. You can swipe between the two. By default the player will look for lyrics and display them under the album art, which imitates a vinyl record. You can add album art if it's not built inside the tracks (but the player won't look for it automatically). There's a playback mode button (normal, shuffle, repeat track) and a toggle for audio enhancement. 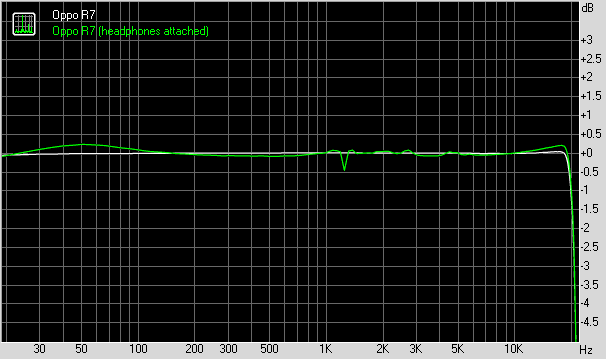 That cycles through Dirac HD on and off, but only works with headphones attached. Audiophiles should be happy to head that the music player successfully played 16 and 24-bit FLAC files. The Oppo R7 audio output is a step forward from the R5, which is in part explained by the regular 3.5mm audio lack and the lack of need for converters. When connected to an active external amplifier, the R7 posted excellent scores top to bottom and garnished them with above average volume levels for a solid performance. Plugging in a pair of headphones lead to a notable increase in stereo crosstalk and slight deviations in the frequency response. Some intermodulation distortion also appears but thats hard to detect without dedicated equipment such as ours. Yet, since the volume levels also drop to only average, we can only rate the performance here as very good. Oppo has fitted an entirely different camera setup on the R7, compared to the R5. The Sony IMX214 sensor is gone, and is replaced with a Samsung ISOCELL imager. It has an orthodox 4:3 native ratio and outputs images up to 4,160 x 3,120 pixels. A new Schneider-Kreuznach lens sits in front of it, though the f/2.2 aperture makes it dimmer than before. The camera app has been slightly reworked and you can now switch from stills to video with a swipe to the side before you hit record. That solves a long-standing problem that many manufacturers choose to ignore, and that's the different aspect ratio and coverage between still images and video. On the R7 you can now properly frame your subject before you hit record. The interface is straightforward with a shutter/record button, shortcut to the gallery and shooting mode button on one side, and flash mode selector and rear/front camera toggle on the other. The R7 comes with the usual HDR and Panorama, but also has an UltraHD mode, which outputs pictures in either 24MP or 50MP. RAW mode is another welcome feature for photography enthusiasts. Those will also appreciate the Expert mode, where you get creative control over white balance, shutter speed (as long as 16s), ISO and exposure compensation, as well as manual focus. The interface is a bit iffy when you hold the phone in landscape, rotating some elements and not others. As far as image quality goes, the R7 does a few things right, but fails at others. Colors, for one, are spot-on, despite the difficult conditions on the overcast day we went shooting. The automatic exposure does very well too, but it can't hide one of the biggest problems of the R7's camera - the limited dynamic range. Believe it or not, a significant portion of the sky in the fourth sample was actually blue. Instead, it's gotten clipped and is rendered almost entirely white. Detail level is okay, but it's masked by the conservative sharpening, which leaves the images a tad soft. There's plenty of fine detail in the foliage, for example, whenever the light is enough for it not to be rendered pitch-black. The UltraHD mode has two resolution settings - 50MP and 24MP, and it could be useful when you attempt to make large prints straight from the phone, though more sophisticated results can typically be obtained with post-processing on a PC. You can find some 50MP samples below. The HDR mode aims to combat the limited dynamic range and does quite well. It managed to bring some of the blue in the sky, and pulls some detail out of the shadows, without looking unnatural in the process. In normal mode the R7 can get very close to the subject and shoot some pretty nice macro shots. If that's not enough, there's the Super macro mode, which fills the frame with even more of the subject. The front camera is an 8MP unit behind f/2.4 glass. The maximum resolution it can output is 3,264 x 2,448 pixels. I fact the images are very detailed with good colors. There's a softness to be observed only towards the extreme corners, and some pronounced vignetting is visible on our uniform background setup, but in real-life use won't be a problem. You can check out how the R7 stacks up against the competition in our photo compare tool. The camcorder on the Oppo R7 shoots videos up to 1080p/30fps. It does have a slow motion mode, called Slow lens, which records at 480p/120fps but saves it at 30fps so in effect you get 1/4 speed. Also available is a 1080p Fast lens mode, where you end up with a 10x the actual speed for a timelapse-like experience. The regular 1080p videos are not very good and a quick look at the bitrate tells you why. At just 9.9Mbps you can't expect miracles and the detail is on par with a decent 720p video. The narrow dynamic range is even more readily apparent here, though colors are pleasant, for one. The focus mechanism is not eager to hunt, but you're likely going to be annoyed by the initial focusing upon hitting the record button. You can also have a look at a Falst lens 10x speed video. As always, we've provided an untouched sample, shot at 1080p@30fps (00:17min, 20.8MB) for download from our server. Additionally, the video compare tool provides you with an option to see how the Oppo R7 fares in the controlled environment of our studio. The Oppo R7 comes with a proprietary web browser, which has an address bar on top and a navigation bar on the bottom always visible when you scroll. There's a fullscreen mode, though, which hides both and replaces them with a single menu button that makes them reappear when desired. The Oppo R7 comes with WPS Office (Previously Kingsoft Office) preinstalled. It's a pretty powerful office editor, now with a redesigned interface, as we have to admit the old one was getting rather outdated. The time has come for us to part ways with the Oppo R7 and it's not the least bit easy. Beautifully designed and executed, the handset grew on us. Whether it took 48 or 84 polishing processes and whether the glass is 2.5D or else is irrelevant. The overall result is what matters and this is a truly exquisite handset. However, a device that costs upwards of $400 has to offer a lot more than just looks and feel, and the R7 is a hit and miss affair. The 5-inch screen is a hit, definitely. The FullHD panel is nice and sharp and has great color reproduction as well as consistency at extreme angles, but you shouldn't have expected anything else from a modern-day AMOLED display. It is not the brightest around, but that largely an irrelevant metric, particularly when you consider that it's still better outdoors than most LCDs. Now, battery life is either very good or just plain OK, depending on how you look at it. If you're coming from the R5, you'll see massive improvements across the board. Viewed on its own, the R7 is a decent middle distance runner, and it excels at voice calls but is less impressive at on-screen activities. Given the battery capacity and slim profile however, we're inclined to mark battery life down in the pros too. ColorOS may not be everyone's cup of tea, and its strong resemblance to iOS will likely not be appreciated by Android purists. It does offer plenty of customization options and the home-brewed apps are stylish and coherent, adding features and functionality missing in stock Android. It would have been nice, if it wasn't still based on KitKat, and we're hoping Oppo will deliver the promised Lollipop upgrade sooner rather than later. The R7 is no benchmark beast, often beaten by similarly equipped devices. Still, the Snapdragon 615 provides adequate day-to-day performance, and you should be more than happy with it as long as you don't focus on elaborate mobile gaming. We're less than ecstatic with the R7's camera output. The 13MP shooter looks great on paper, but in reality has very narrow dynamic range and images come out with only average detail. Pretty much the same can be said about its video recording, which is nowhere near the best in the 1080p league. Benchmark scores are average-to-low for the hardware, certainly better performers can be found, packing the Snapdragon 615. Loudspeaker posted an Average score, though it will respond to careful ringtone selection with a bit more punch. The gallery has been stripped of features, video player makes do with a basic interface but wide codec support, the music player is better-equipped but lacks an equalizer. 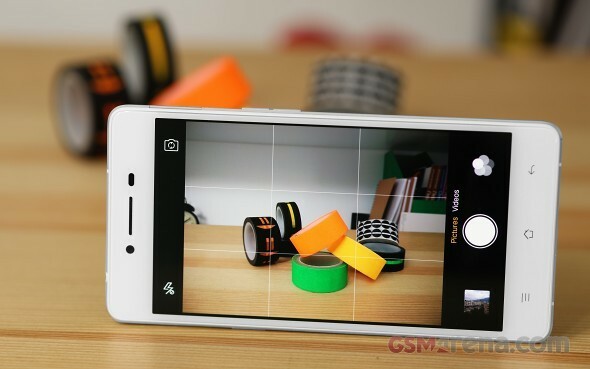 13MP camera fails to impress, mostly due to limited dynamic range. Detail is on the low side, but colors are nice. The app has plenty of features and a lot of manual control, too. Video quality is underwhelming, detail isn't up to 1080p standards. There are a few extra modes to play with, though. We've already established that the Oppo R7 is handsome and it's hard to beat in terms of design - that alone makes a strong case for the device for many. But then there's the matter of price, which hovers around $420, and for those looking for performance there are smartphones with similar hardware for a little over half that price. If you've read this far though, you obviously value appearance, so we'll start with that. Oppo has a few competitor on the inside, which we mentioned multiple times throughout this review. Both the R5 and the R1x (or R1c, if you're in China) come with the same Snapdragon 615 chipset, but with a gig less of RAM. The R1 has a 720p LCD with the same diagonal, while the R5 comes with a larger 5.2-inch FullHD AMOLED display. The R5 may be a bit hotter looking thanks to its mere 4.85mm of thickness, but suffers from it when it comes to battery backup and lacks a 3.5mm audio jack. The R1x is no ordinary-looking phone either, with a unique sapphire-like back, and it's roughly in the same league as the R7 in terms of battery performance. Numbers aside, the camera output and the display on the R7 are inferior to either of the other two. A clear case of you get what you pay for in the Oppo camp, then. 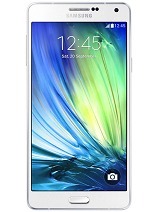 The Vivo X5Pro is another regional competitor. It has a larger 5.2-inch display, FullHD AMOLED at that, but otherwise matches the R7 spec for spec, and can even be a touch more expensive. It has also got Lollipop going for it, though the R7 should catch up soon. Picking between those two is going down to which particular flavor of Chinese launcher you prefer. 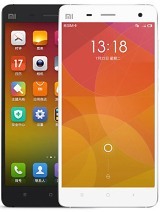 The Xiaomi Mi 4 is a properly equipped year-old flagship, powered by a Snapdragon 801 with 3GB of RAM. It's a looker too with an attractive dual-glass body, but is a lot thicker, at nearly 9mm. You do get 2160p video recording on the Mi 4 and an overall very proficient camera, for about two-thirds of the R7's price. You could also opt for the Lenovo Vibe Shot. The basics are the same - 5-inch FullHD, Snapdragon 615, 3GB of RAM. It comes with Lollipop, a larger battery, 16MP camera with triple-tone flash and a hardware shutter release button, which is a rarity these days. Among Samsung's premium looking mid-rangers, the larger 5.5-inch Galaxy A7 comes closest to the R7 in terms of specs and obviously offers more screen real estate. The Samsung handset also has longer battery endurance and better image quality as well as the more familiar TouchWiz launcher. Had it not been a tad more expensive, it would have been an easy recommendation. 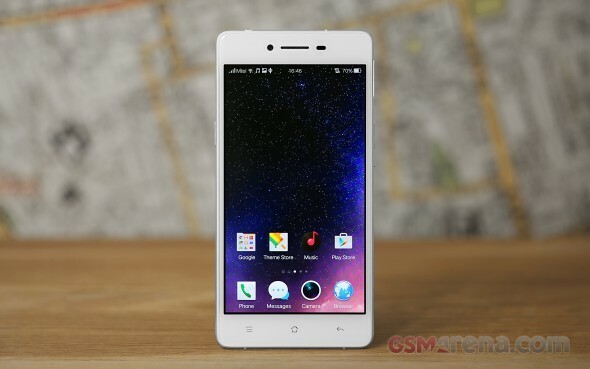 Another Oppo smartphone that appeals to the senses but is at odds with reason. Sure, you could get similar hardware for less, but then you'd be missing out on one of the hottest bodies in the business. And we're not saying the R7 really disappoints in other areas. It just sets the bar for itself so high straight out of the wrapper that you want it to be a stellar performer and a top-notch cameraphone, when all it does is an okay job at those. It's paired with a proprietary USB cable with additional pins to enable the fast charging. Rest assured -both the charger and the phone itself can take regular cables, just don't expect the same charging times if you replace one of the links in the VOOC chain. The R7 comes with a screen protector pre-applied, but it takes away from both the look and feel of the smartphone. We suggest you follow our lead and duly remove it as soon as the phone is out of the box.